With its simple yet addictive gameplay, since its released, Rolling Sky (Unlimited Shields/Balls) has made a strong impression on many players around the world. The game was developed by Cheetah Mobile, a Chinese mobile internet company. Not only are they producing games but they also release many popular mobile applications. Rolling Sky is a fun ball game combines with music. 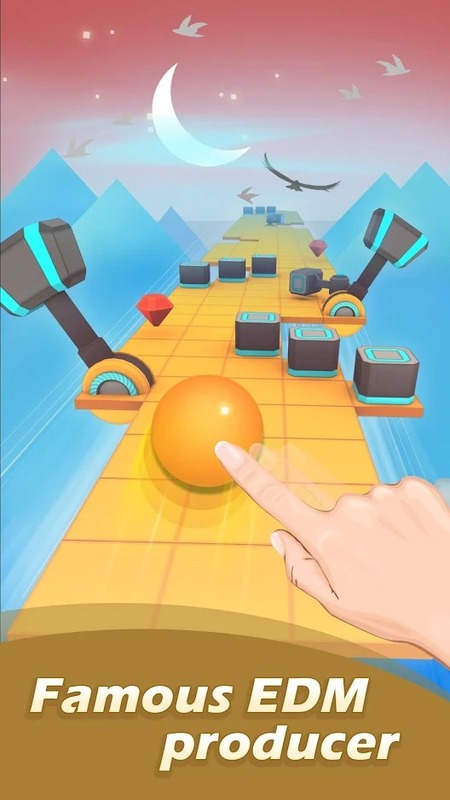 The gameplay is similar to Balls Race of Ketchapp. In the game, you will control your ball rolling on the road with the mission is don’t let the ball fall down. The road is made up of 3D blocks with colorful musical notes in an abstract world. 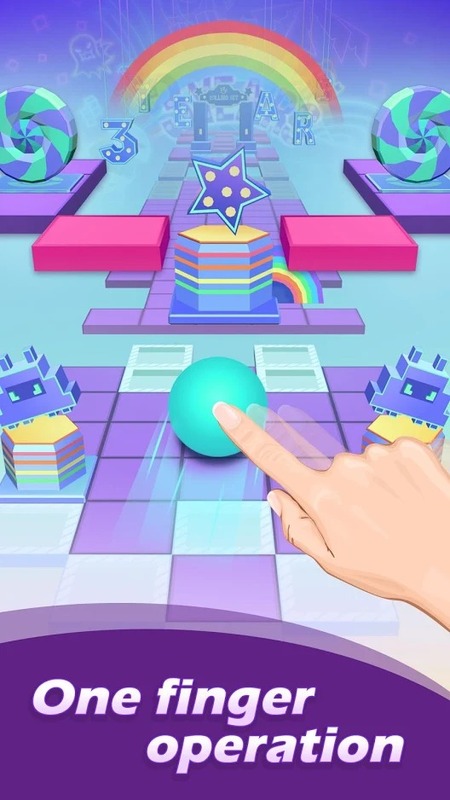 The action to control your ball is very simple, just touch a finger to the screen and then move in the direction you want to go to avoid obstacles. To make the game more refreshing, manufacturers create obstacles along the way such as lasers, hammers, barriers, and so on. In the early days of the game, everything was pretty easy with sweet music. But then things got more difficult when the speed of the game faster. Time is not enough for you to think, the most important thing in this stage is that you have to reflect quickly and accurately to avoid the pitfalls of the game. On the way to appear a lot of deadly gaps. Some obstacles may move unexpectedly, along with items falling from the sky or others can explode. So Rolling Sky requires you to reflect quickly and you need to play harder, especially if you want to collect the diamonds scattered on the road. 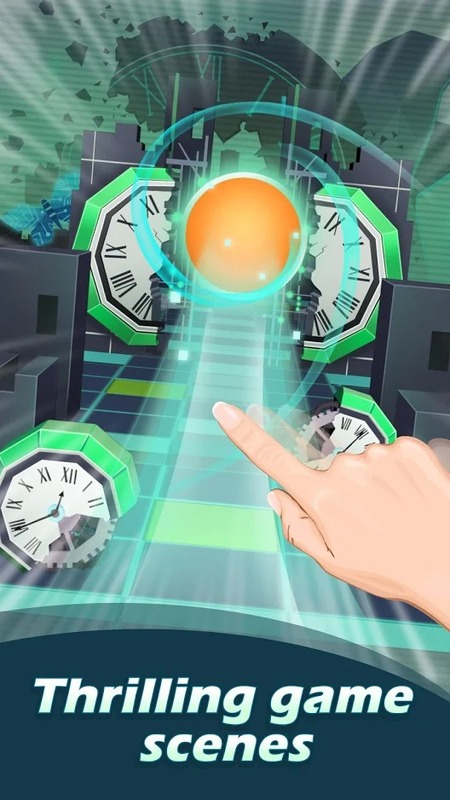 The game requires a high level of concentration, so one second of distraction will end your adventure immediately and you have to start all over again. If you mention Rolling Sky without mentioning the sound, it’s a big mistake. The levels in the game are synced with the best EDM tracks right now giving you a great experience. Developers also know how to please the players by carefully filtered music. But beware the music in the game can distract you. You will be very sorry when enjoying the music is great that unfortunately, your ball can’t overcome the challenges on the road. But that really does not make me feel bored that it stimulates me to play harder to not make mistakes the old. The game will save you the record you have achieved. This gives Rolling Sky a higher level of competition, with the challenges people around breaking your record. And you will always try to create new records that others will not be able to overcome. Then, you can share your scores record on social networks to challenge your friends. Rolling Sky with abstract 3D design, though not too picky but also make me feel happy. The game creating 5 colorful worlds with a series of scenes from space, jungle to hell makes your journey more exciting than ever. Are you ready to join the adventure with the ball? Many challenges along the way of Rolling Sky are waiting for you. The game is highly entertaining and suitable for all ages. If you like this game, you can download the game from the links below to experience. Rolling Sky MOD APK is ready to download! 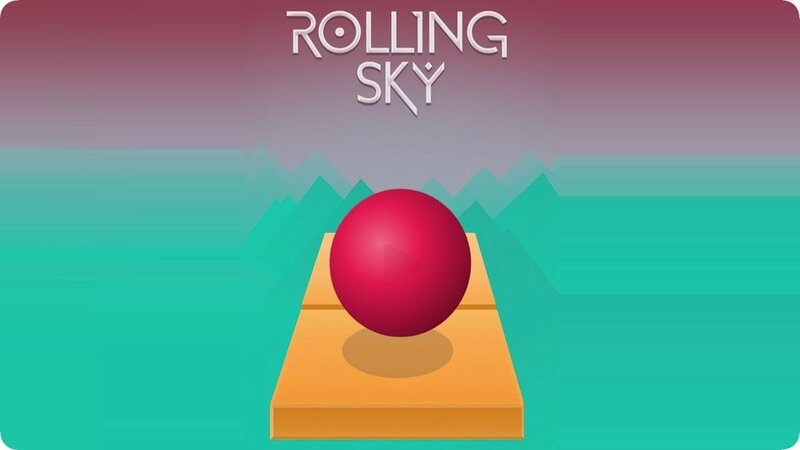 Depending on your needs, you can download Rolling Sky MOD APK or Rolling Sky Original APK. Or install from Google Play / App Store if you want.